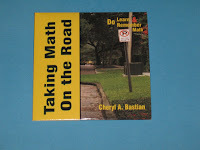 I am ecstatic about my newest resource, Taking Math on the Road! It is the first, of what I hope will be many, activity folders in my new Do, Learn, & Remember series. As children create an activity folder, they pull math off flat paper and apply concepts—numeration, graphing, measurement, computation, money, estimation, and more— to life experiences. This series was conceived as I answered questions from parents: "How do you teach math?" or "Do you have a template for that activity?" 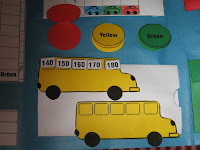 The Taking Math on the Road CD contains instructions and templates for the games we play in our home to learn math. The CD can be purchased at my website and inserted in the CD drive of your computer. Print the pages you need and begin a thematic math adventure. Want to know more? I am posting the introduction to Taking Math on the Road here so you can become more acquainted with the ideas behind the Do, Learn, & Remember series. "The contents of this activity folder are intentionally written to help you teach your child math concepts. Working through this seven day study, your child will create a folder packed with high-interest activities. Unlike worksheets which teach math on a one-dimensional surface, Do, Learn, & Remember actively involves your child. The games are intended to provide stand-alone math instruction but can be easily adapted or incorporated into existing home studies. Do, Learn, & Remember encourages mastery through repetition, an essential element for teaching math concepts. The completed folder’s compact, pocket-design keeps supplies and pieces safely inside and invites your child to carry learning through the day, playing and practicing again and again. This study is not a once-and-done-creation. Do, Learn, & Remember activities offer flexibility. The unit was written for varied developmental stages and educational philosophies. Simply choose appropriate activities from the selections provided. Feel free to shorten, lengthen, substitute, or omit activities to accommodate your child’s learning needs. Web resources (marked with a computer symbol) and book suggestions are included for extended study. It is even possible to use the games and resources without constructing the activity folder. Each lesson includes practical application experiences and related book titles (a library visit enhances study, but is not required) in an effort to make learning relevant to life. Additional supplemental activities and templates are available on this CD. Create, teach, and learn by the means which best encourage learning in your home. Taking Math on the Road was tested in our home. If it didn’t work, I didn’t include it. In fact, only activities which earned a “Dad, look what we did!” made their way into this unit. Most of the activities were completed at multiple levels (ages 4-8) and some were selected as review activities for children who needed extra practice. Generally, we all played together. Our activity folder and the memories we made creating it, are treasured. We hope yours will be, too!" Bonus! 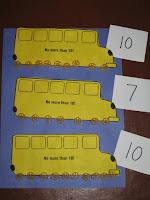 activities and templates for Place Value Pasta, Add the Wheels, Traffic Sign Criss-Cross, and Roman Road Dessert. The Grand Adventure of Home Schooling in the Preschool and Elementary Years! Welcome to Start Well! This is a team effort of two veteran home schooling moms who have a heart for equipping and encouraging others to teach and train children. Please visit our companion blogs listed further below in this sidebar. You can also read a free PDF of one of Virginia's books, The Real Life Home School Mom. Finally, you can subscribe to Virginia's free Hope Chest Home School E-magazine by sending any message to HopeChest-Subscribe@Associate.com. 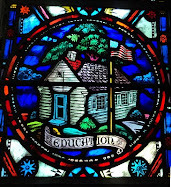 When you subscribe by e-mail, you will receive posts from all three of my home school blogs. There will be an average of 2 to 3 e-mails per month total. Virginia's Life, Such As It Is!